What’s the tie-in between mobile devices and being green? Simple – Quick Response codes. Okay, backup. What is a Quick Response code? Commonly known as a QR code, it is a type of barcode consisting of contrasting color squares arranged on a square grid. The code can contain more than 4,000 alphanumeric characters. This gives the ability to store a significant amount of information in a small space and only the imagination limits what information lies behind the code! 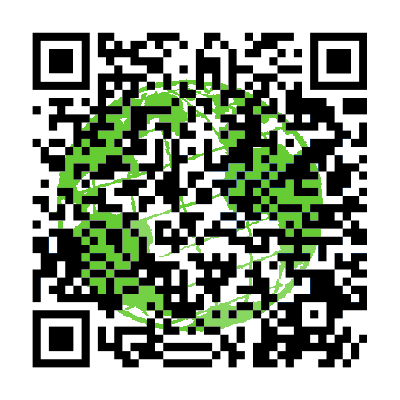 The QR code can be used to share information in many forms including links to documents and websites. The QR code can be read with free scanning apps that are available on all platforms used on mobile devices like smart phones and tablets. 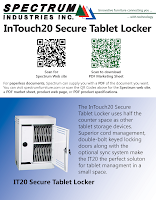 When you scan the QR code, your device can open a browser, download documents or even have a text message sent to you. Spectrum realized this technology could help solve a couple of problems. We attend many tradeshows and hand out a lot of literature from one-page brochures to full catalogs that eventually end up in the garbage or recycling bin. With the recent proliferation of smart phones and tablets, Spectrum offers a better way to give customers the literature they want in a way that it is easier to access and not put an additional burden on natural resources. Spectrum has a complete library of literature in digital form available on the Spectrum Web site. When you visit Spectrum in the exhibit hall of a conference, you can scan the QR codes on Spectrum products to get access to information that can be quickly and easily shared with fellow workers and decision makers that may not be at the conference. 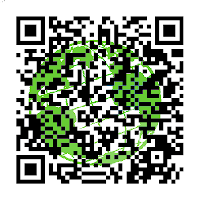 And if you can scan a QR code, you might be eligible to enter a sweepstakes for a valuable prize. So get out your mobile device and get in touch with QR technology while helping Spectrum’s efforts to reduce paper use for a healthy environment!